Are ya’ll ready for the fireworks? Because of the extreme drought conditions in Clarksville, fireworks have been banned here for the 4th. I know I’m an old fuddy-duddy but shooting fireworks at home makes me nervous. I’m always afraid someone is going to be injured during all the excitement. The City of Clarksville will be having their fireworks display tonight. I say let the professionals do it! I wrapped up a project today and wanted to share a few photos. Meet Miss Pink Cotton Candy. Doesn’t she look delicious! 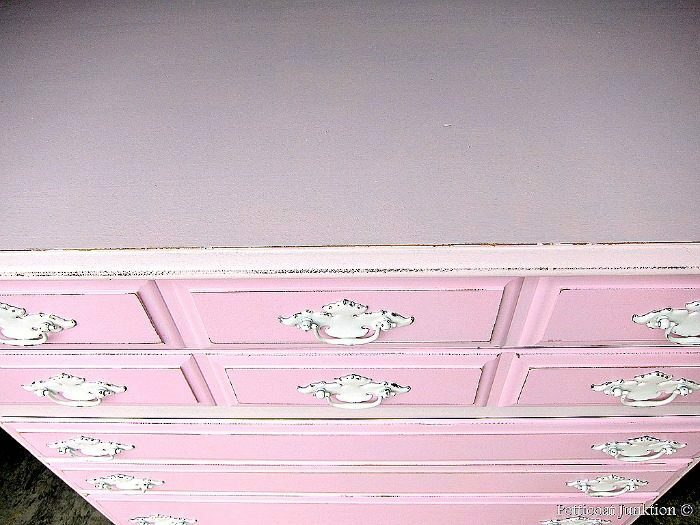 I’m crazy about two-tone paint finishes, and I love pink painted furniture. 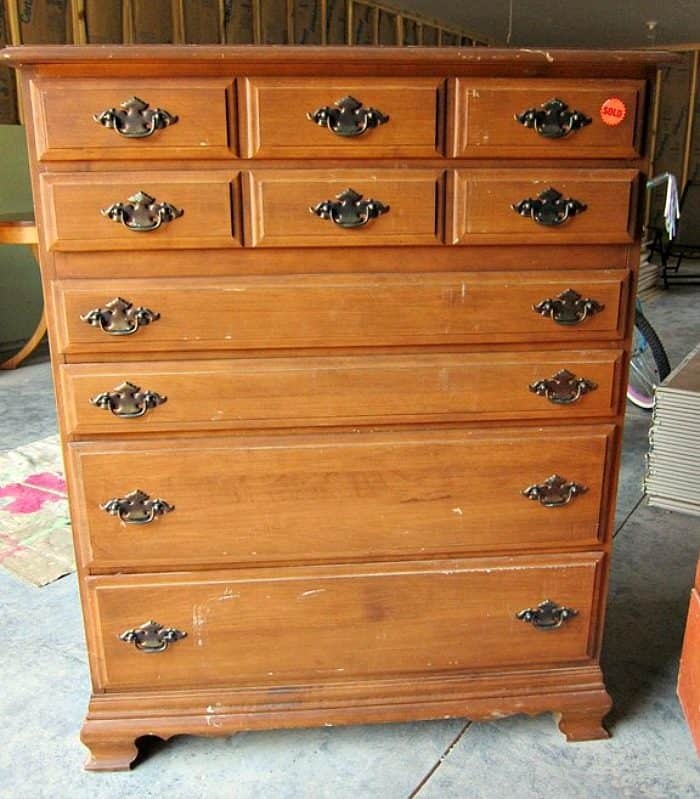 Solid wood, original hardware,everything intact. Behr Premium Plus Ultra with the primer and paint all in one is my go-to latex paint. 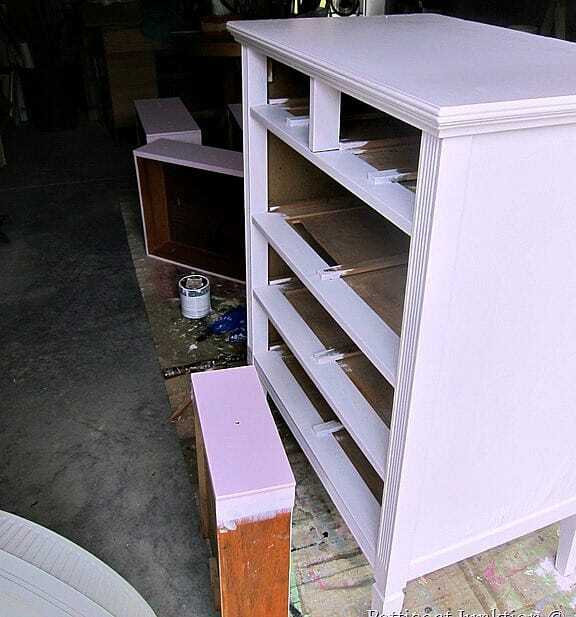 The light pink on the right I used on the casing of the chest and I mixed a little of the fuchsia color with the light pink to make the color for the drawers. I love mixing paint. 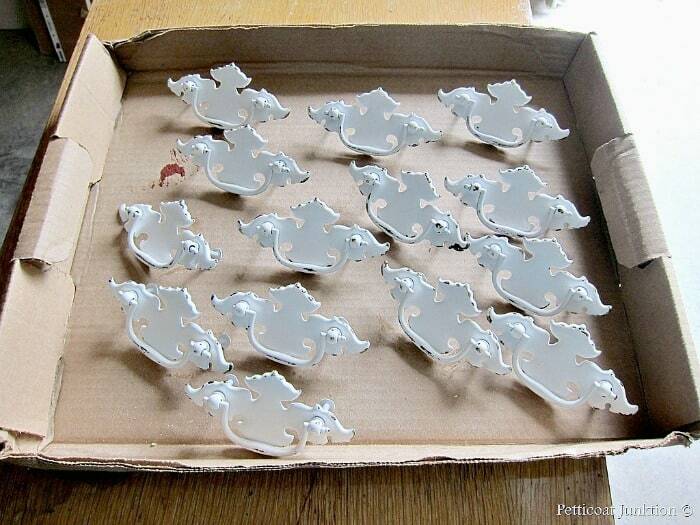 I spray painted the hardware white. 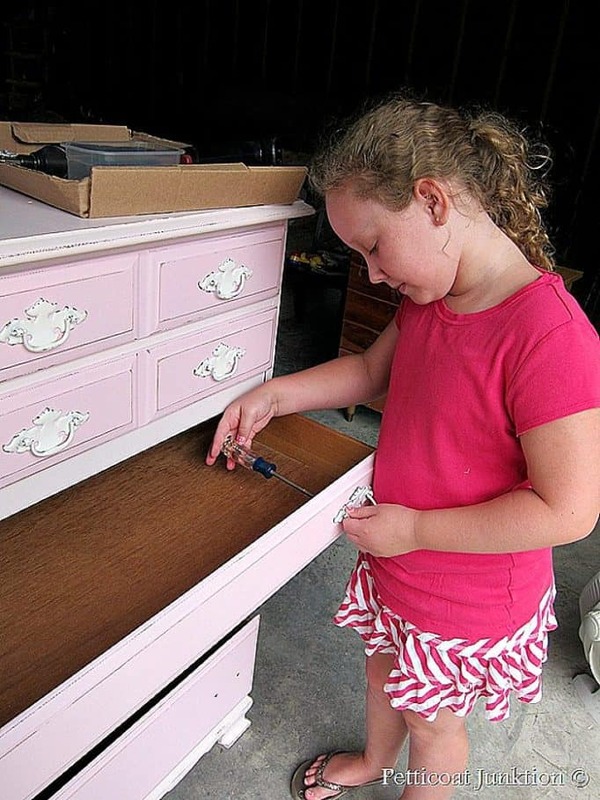 My granddaughter loves to help me with my projects and I love that!! She handles a screwdriver pretty well. I did some very light distressing. Ya’ll know I usually go crazy with a sander, but I controlled myself this time. Hi – Maybe I missed the name of the colors, but can you please tell me the two color names you used? It is beautiful!!! 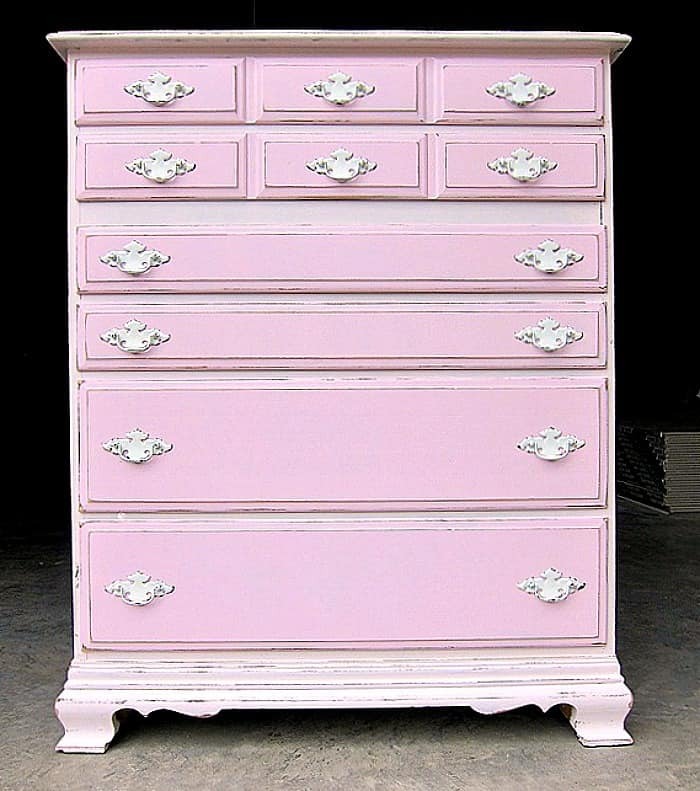 Lovely makeover…so pretty in pink! I would be delighted if you would link to Potpourri Friday, in progress! So pretty. I love anything pink! Your blog name is soo cute! New follower. Hi Sayuri, No this is Behr paint from Home Depot. 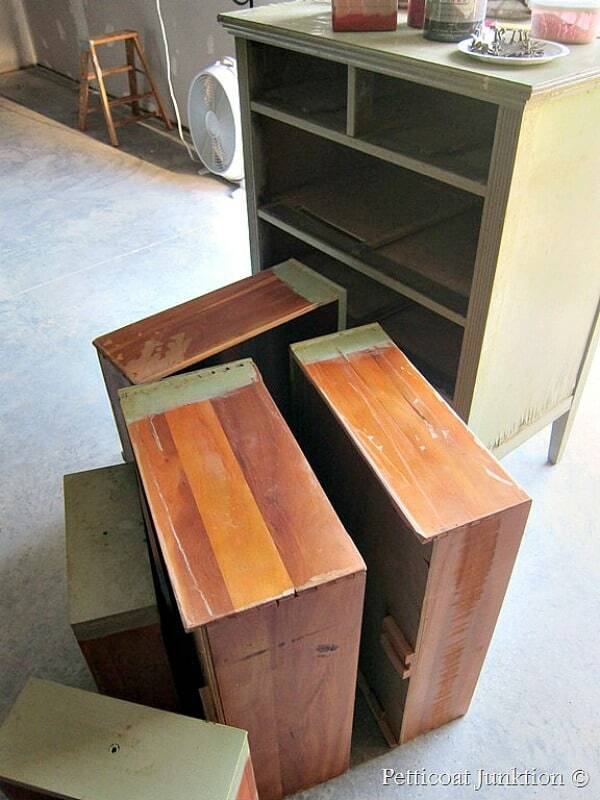 Hopefully I will start working with the MMS Milk Paint next week. Can't wait! Is this Miss Mustard Seed's milk paint??? 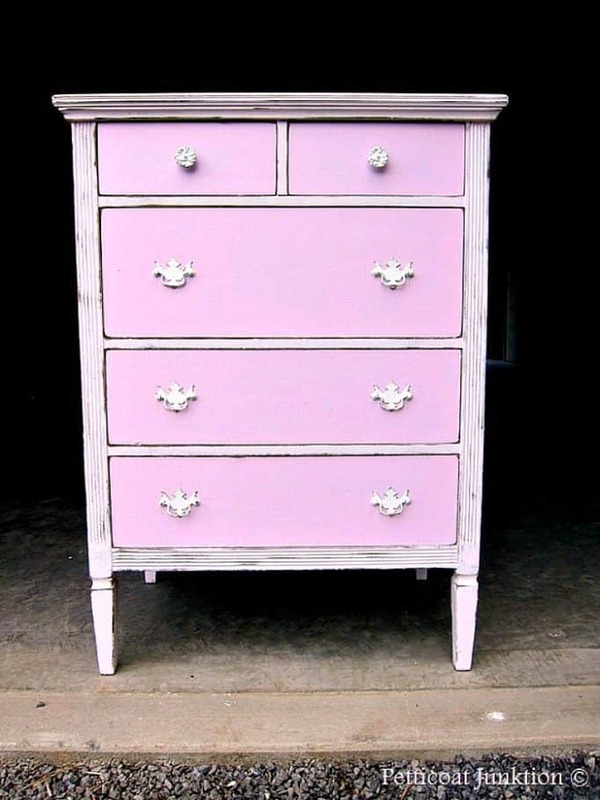 I'm working on a child's desk at the moment and it's similar pink as well,makes me want to go and finish my project!